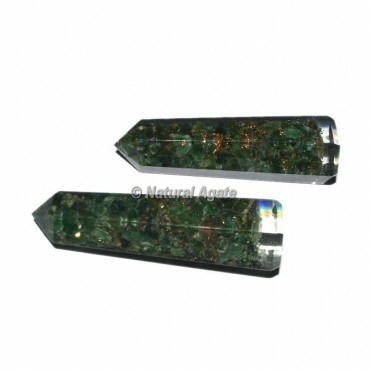 Here is the huge collection of Green Aventurine Orgone Obelisk Point at Wholesale Price. Aventurine mending properties course through your chakras, which advances agreement and adjust while gathering up dangerous feelings. this obselik point is known as lucky stone. Place the order as soon as possible.